A to-do list is one of the most common time management tools that is freely available to anyone who wants to be productive and get things done. The problem with a to-do list is that most people underestimated its effectiveness. Not only that, some people even say that it doesn’t work. Is that true? Well, we will find out. Having a list of things to do is common, but not everyone is using it. This is mainly because most people are dumbfounded by its simplicity, and hence, never uses it. Tasks that are reported as done don’t correlate with planned to-do tasks. In my opinion, a to-do list is just like setting goals, visualization, meditation, and affirmations. They are all tools to help you get the things you want in your life. And I found that having a to-do actually increases my productivity and I’m more conscious of what I need to get done each day. For those who said that a to-do list does not work, probably it is because they do not know how to make it work. Just like visualization. Many successful people credited their success to visualization. The same goes with setting goals. 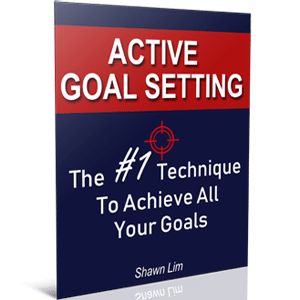 Some people fail to achieve their goals and say that goal setting does not work. On the other hand, some people set goals and achieve them, and they dedicated their success to setting goals. So if you think that writing down your action tasks cannot make you more productive and help you in getting things done, maybe it is because you are applying the wrong approach. Or perhaps, you are the one that is not working, not the tools. Billionaire Richard Branson Uses To-Do Lists Too! Everyone has 24 hours a day, and how you manage to use those 24 hours will determine how effective you are and how successful you will be. Richard Branson, the billionaire entrepreneur who founded Virgin Group in 1970 is worth over $5 billion today. What do you think is his secret to success? Well, billionaire Branson said that his strategy for getting things done is simple – he makes lists, lots of them. You can read the article in his blog here. Branson is one of the famous entrepreneurs that most people model after. He has set up business across 8 industries ranging from airlines to hospitality. Besides that, he is also a best-selling author of a few books, including my favorite title, “Losing My Virginity“. By the way, if you haven’t read the book, get it and read it immediately. It is a great read and you will discover the meaning of life, business, and success from the point of view of this adventurous billionaire. As you can see, Sir Branson is extremely successful in every area of his life. And he dedicated his success to utilizing to-do lists. He said that each day he will work through his lists, and by ticking off each task, his ideas will take shape and move his plans forward. Sounds simple? Sir Branson also suggested his readers write down every single idea and insight that comes to them, no matter how big or small. This explains why he always carries a notebook with him wherever he goes. He will write down ideas that pop to him at any random moment. So tell me, are you convinced now that having a to-do list is a good idea or a bad one? Have you heard about the App called Wunderlist? It is a simple task management App that is available on mobile. Meaning to say, it is an App that allows you to manage your to-do lists. And in 2015, Wunderlist has accumulated over 13 million users. After that, Microsoft bought Wunderlist and launched a similar App called To-Do, to replace Wunderlist. Forget about the acquisition, what I want to tell you is that having a to-do list works. And it can simplify your life, help you get things done, and more importantly, make you more productive. Why Do You Need A To-Do List? Do you know that people who are organized are able to get more things done than people who are living in a mess? And writing down your tasks, organize them into your to-do list help you get ahead in every area of your life. One of the key reasons you need to have a to-do list is so that you will never forget the task or the work that you need to do. Have you ever have any moment where you were too busy and forgot to do something important? And by the time when you remembered the task, it was too late to work at it? Having a to-do list will solve this problem. You will never forget your tasks and what you need to get done with a list. Humans can be forgetful at times, and if you only rely on your brain to remember everything in your life, you can’t. If you were to ask me, I will say that this is the #1 reason why we need to use a to-do list. This is because your list shows you everything that you need to get done during the day, and this allows you to prioritize and work at the most important task first. Most people who found that a to-do list is not working are probably because they don’t prioritize and organize their tasks. They write their lists for the sake of doing it. Your list gives you a big picture of all your tasks. And thus, you can then organize them according to their impact and priority. And by following the Pareto 80/20 Principle, you should focus on doing the 20% work that will give you 80% results first, and not the other way round. Do what matters most to move forward in your life. Remember, being successful is not about getting busy all the time. It is about becoming effective and productive by doing the work that gives you the most result. You want to complete the high-impact work first. Yes, having a to-do list can save you time. Imagine when you reach office and you have no idea what to do, so what will you do? Well, you may check updates on Facebook, or maybe check emails or organize your table. Whatever you do, you will act passively according to your environment. You will become reactive to the situation you are in. If someone shares a YouTube video with you and asks you to check it out, guess what, there is a high chance that you will comply and do that. The answer is simple, when you have no idea what to do, you will do whatever that comes to you. Just like the saying, “If you have no plan, you will become part of other people’s plan”. On the other hand, when you know exactly what you need to do, you can hit the ground running and start your work immediately with no time to waste. Another important benefit of having a to-do list is that it allows you to measure your progress. You can tell if you are winning and moving forward or are falling behind by taking a quick glance at your list. Whenever you have completed a task, you will either write a ‘Victory’ or put a tick next to the task. This will give you a sense of your progress. If your list is full of ticks and victories, you know that you are moving forward and are getting things done. Do you know that whenever you write down something, it makes you more committed to doing it? You are telling yourself that something is important and that is why you are writing it down. At the same time, you are programming your subconscious mind to work on the task backstage and never to forget about the task. The sense of accountability will kick in when you look at your list. You know you have to get things done and move forward. This is especially true if you make your to-do list public. You are announcing to the world what you will get done, and it creates high accountability within yourself to do the work that you said you will do. By now, I hope that you are excited to create a to-do list due to all the great reasons. Creating a to-do list can be easy. Some people prefer the traditional way of writing on a notebook, while some prefer to incorporate technology into it by using their smartphones and laptops with Apps such as Wunderlist and websites like Trello. You can choose whatever platform that you find suitable. The key is to go for an easy-to-use and access platform so that it gives you the convenience and saves you time. Personally, I prefer to use a physical notepad to write my to-do list. I always put it beside my workstation and leave it open so that I can see what I need to get done with an easy glance. Remember, you want to turn this into your habit. Thus, choose to write and create your to-do lists somewhere you think you will most likely use. Now, once you have identified your preferred platform, follow these top 10 guides below to create productive to-do lists that will catapult you to success. The first and one of the most important things you need to do is to schedule time for your planning. Why? The reason is simple, you want to make it a habit so that you will stick to doing it each day. Almost everyone knows the importance of having a to-do list and writing down the task that they need to get done. Unfortunately, most people only do it once or twice, and they never develop it as their habit. After they read this article, they feel energized and driven to apply this technique. They buy a notebook and write down their to-dos, well, maybe for just a few days. Some will stick to it for a week or two, and eventually, most will give up and never use bother about it anymore. If you are serious about being effective, being productive and get the most important work in your life done, you must schedule time for planning. Choose, what time do you want to do the planning? Are you going to do it in the morning before you leave for office? Or are you going to do it at night before you sleep? Commit to it and do the planning every day until it becomes your habit. It is not like once you have written down your to-do lists for a day and you will become productive instantly. No, not at all. It is about being consistent and cultivating it into a productive habit so that you will become effective at life. Therefore, commit to doing it each day. Make your decision right now and commit to sticking to your schedule to plan your life. If you fail to plan, you will become other people’s plan. Remember that. Usually, you will start with brainstorming and free writing to come up with all the tasks that you need to get done. The key is to write down whatever tasks that come into your mind. At this stage, it is the brainstorming that is important. So apply the free writing technique and write down all the tasks that you can think of. If you are using your smartphone, just note down all the tasks. And sometimes ideas and tasks will hit you at random moment, so what should you do? Write them down and include them in your list. After you have written down all your to-dos, the next step you need to take is to prioritize the list. There are a couple of ways how you can handle this. One of them is called the Eisenhower technique. And you spend your time dealing with the urgent and important work first. You can always read learn about this technique from my previous article on How to Use the Eisenhower Matrix Box to Deal with Urgent VS Important Work. The takeaway here is to deal with as much of the important work as possible. Remember, quality matters over quantity. Schedule and deal with as much of your quality work that will give you the most result rather than spending most of your time on completing a ton of unimportant work that brings no result. It is not about being busy. It is about optimizing your time for the most important work that will give you the most result. Effective people spend their time on productive work that gets them the result. Ineffective people get busy doing unproductive work that gets them nowhere. You want to be effective and productive, yet you want to do more. Most people cannot accept the truth that less is more. As a great leader, or an entrepreneur or someone who has big dreams, you want to achieve more, not less. However, one of the key reasons people are not moving forward in life, be it in their work or personal life, is because they spread their focus too thin trying to accomplish too much at the same time. Studies have shown that people who try to accomplish a few things at the same time will lose their focus and hence, their productivity suffers. Read my favorite time management book, The One Thing by Gary Keller, and you will fully understand the concept behind being productive. It is about doing less. It is about being 100% focus and do the vital few. You have to spend your most productive hours onto doing things that matter most. Not spending the time to complete the most tasks, but to complete the most result-yielding task. Thus, try to schedule fewer action items into your to-do list. If you have 10 tasks to do after your brainstorming session, try to delegate some and focus on the vital few, usually, 3 to 5 important tasks. Most of the time, even if you write down 10 action items, you can never finish them all on the same day. So it is better to just focus your energy and optimize your most productive hours for the most important work. Less is more, my friend. So how do you know how many action items you get done within a day? Simple, just assign the time estimation to complete the task. Some tasks will take longer while some task will take only a few minutes to complete. When you assign time estimation to complete each task, you can then clearly see how your whole day will be from a bigger perspective. At this point, most people will overestimate themselves and slot in as many tasks as possible since they have an 8-hour workday. Wrong, you must understand that human tends to slack off and there will always be ad-hoc tasks that will suffer from time to time. Out of sudden, your manager calls you and asks you to complete a task and he requires you to do it immediately. Or perhaps you stop at the pantry and talk to your colleagues, and 30 minutes gone just like that. Therefore, assign time estimation to complete your tasks. Understand how much time you need to complete your work also gives you a clear understanding to make realistic decisions throughout your day. This is another important key to productivity that you must adopt if you want to be effective and get things done. When you start your day, try to go for the most important work that will give you the most result first if possible. You do not want to spend your energy working on unimportant tasks, and when by midday, you have no energy left for the big-ticket items. Brian Tracy refers to this as “Having dinner before dessert”. If you eat your dessert first, you will have no more space to fill your dinner in your stomach. So to be effective, work on the first thing first principle. Work on the most important task that will give you the most result the first thing in the morning. Utilize your energy on things that matter. Your willpower is like your smartphone battery energy bar. It is fully charged in the morning and decreases as you go through the day. This is why you need to schedule your to-dos wisely. Spend your most productive hours for the most important work. You can always have more than one list. In fact, it is recommended that you have more than just one list for your to-dos. According to Robert Pozen, a senior lecturer at Harvard Business School, he divides his lists into two columns. On one side, he lists down important work needs to get done like meetings, calls, and appointments. On the other side, he lists down things that are less important and which can be done when he has a few minutes to spare. This way, whenever he has a few minutes of downtime, he will go through his less important list and work on tasks that require a shorter time to complete. Besides that, your list should not only mean for work. You can create lists for other areas of your life such as relationships, health and personal things to accomplish. This will make your life full of colors like how billionaire Richard Branson did it. Sir Branson once wrote in his blog that his secret to success was to write down many lists. If a billionaire and successful entrepreneur Sir Branson used a to-do list to get things done, don’t you think that you too, should try it? It is important to celebrate your wins. The moment you have completed a task on your to-do list, regardless of how big or small it is, celebrate. If it is a small task, you can reward yourself with a snack or give a pat on your back. If you have completed a bigger task, you can reward yourself with a movie or a vacation (for the big target). Another crucial thing you need to do when you have done a certain task is to either cross the task you have written on the list or simply write down a “Victory” next to your task. This act alone will reinforce your mind and tell you that you have done something great. It is always awesome to see a to-do list full of the word, “Victory”. And this is what I do too. Every time I have completed a task, I will write a victory next to it, telling myself that I have accomplished and taken one step forward toward my goal. The reason for celebration is to associate your mind that whenever you have done something, you will feel good through the celebration. This will train your mind to always look forward to doing the work because there is always something good, the reward, waiting for you at the end of the work. Trust me, no matter how hard working or how much time you spend dealing with your to-do lists, there will always be incompletes, tasks that you can’t finish and it is already late at night. So what should you do with your incomplete tasks? The answer is pretty simple, really, just bring them over to the next day. There is no point feeling sorry or feel like a failure with your incomplete. You either choose not to sleep and work on the task or just carry it forward and bring your work to the next day. Sometimes, it is not that you don’t want to complete the tasks, but there are just too many unexpected events come up and you have to handle them. From time to time, or at least once or twice a month, you should reflect and evaluate your to-do list and your progress. The only way to make sure that you are moving ahead is to measure your progress. If you don’t know your result, there is no way you can improve. For instance, if you repeatedly carry forward your task to the following day, you need to find out the reason for it. It can be that the task is not important and you have no urgency to do it. Or probably there are some problems need to solve before you can complete it. Find out the reason through evaluation and understand how you can improve better, to become more effective and productive each day. Remember, a to-do list can be a great productivity tool that makes you effective if you learn how to utilize it correctly. Most people fail to make it work because they overestimate themselves or they simply don’t learn the correct process of making it work. Using a to-do list technique to complete your work is like driving a car. It is not that the car did not work, but it is the people do not know how to drive it correctly. My suggestion for you is to start making your lists today. It is absolutely alright to start right now. The key is to improve the progress and learn what works along the process. You can customize your own to-do list to fit your own requirement. There is no best approach, only the most suitable approach. However, you must be willing to try out new things and execute it now. What an extensive article! I would like to know what do you think about using To-dos with email clients like Outlook and Gmail?